It has been decided that London Heathrow airport can build an extension including a fourth runway without jeopardising the UK government’s CO2 targets. 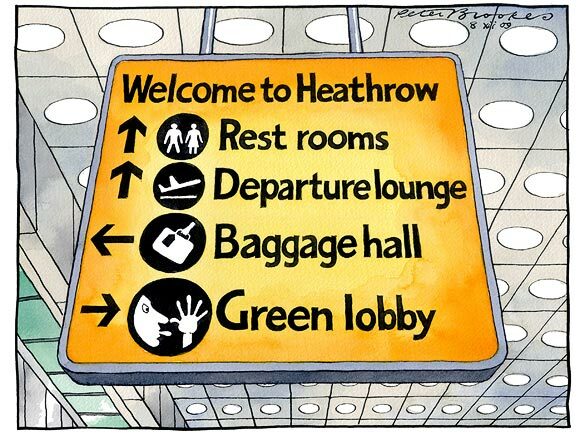 I only write this so I have an excuse to post this Peter Brookes cartoon from The Times. Read more about the decision here.